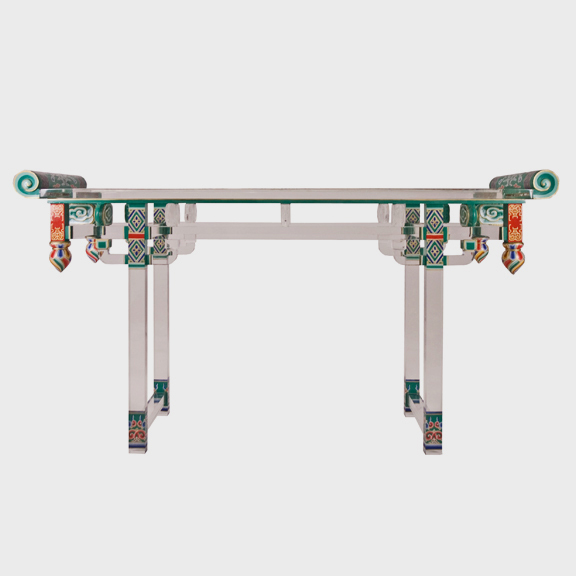 W: 64.5" D: 18.0" H: 34.75"
Each limited-edition Summer Palace Altar Table by artist July Zhou is fashioned after a traditional Ming dynasty example. 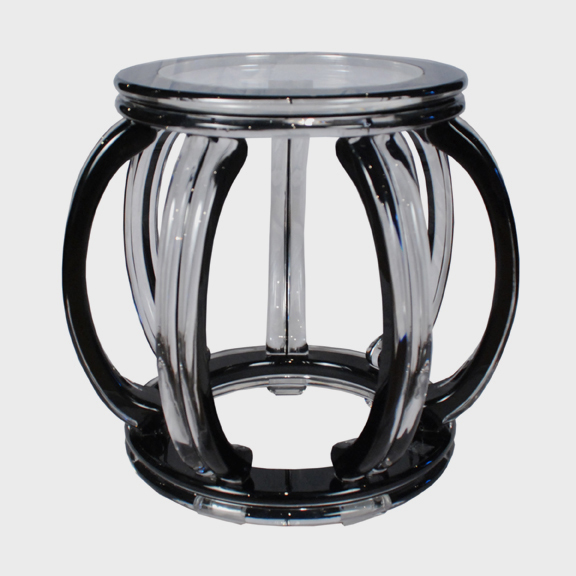 Unlike other lucite furniture that is injection molded, July's work is created by skilled artisans who heat, join, bend, carve, and polish each table precisely and seamlessly by hand. 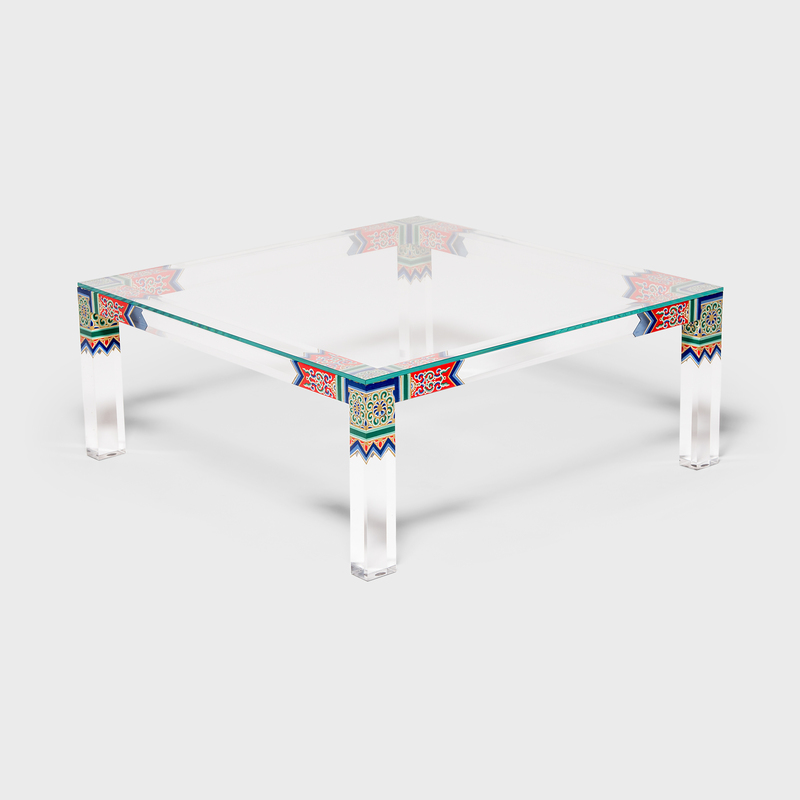 This one-of-a-kind table is hand-painted to mimic the colors and patterns found in Beijing’s Summer Palace: a famous residence with splendid halls, gardens, and sumptuous pavilions dating back to China’s imperial past. 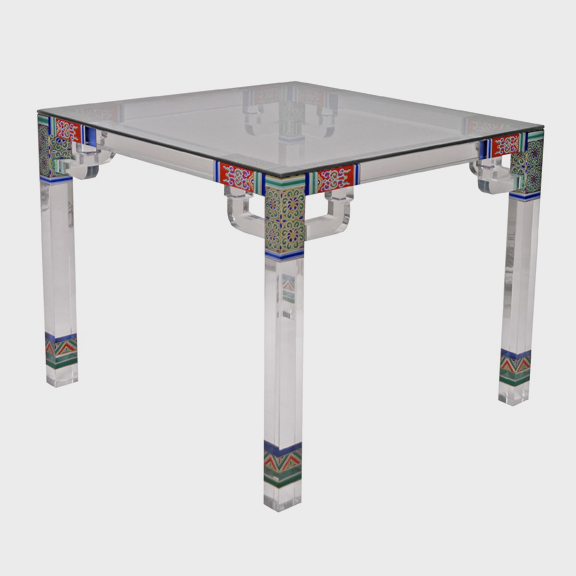 In ancient China, altar tables such as this were used to present offerings to one's ancestors and to display precious items. 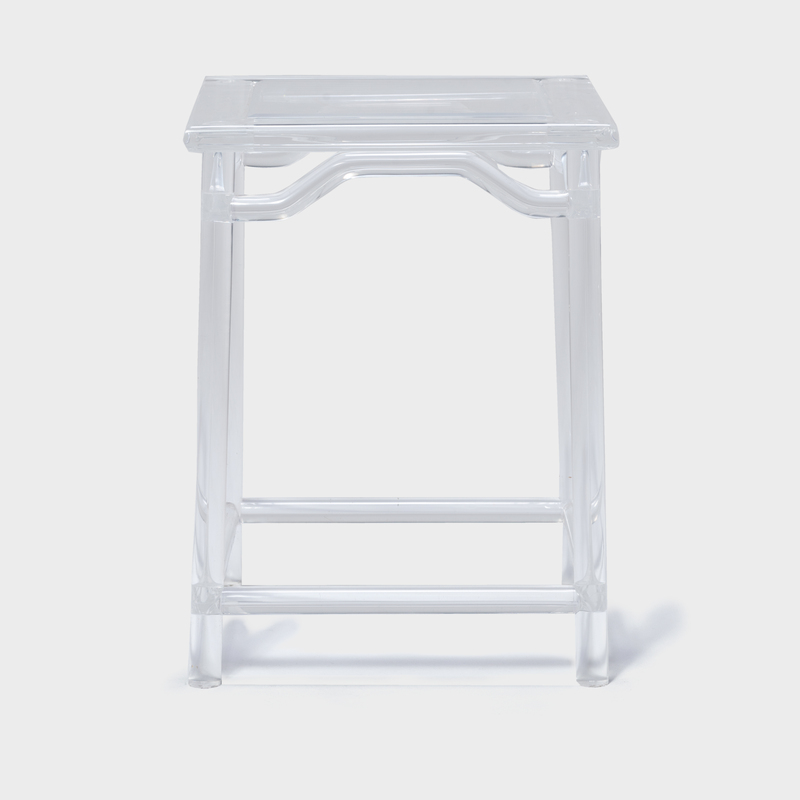 July has worked for years to create examples of Ming furniture that communicate the beauty of classic Chinese forms, free and clear of common wood material. His work and experimentation with lucite exemplifies the exciting wave of contemporary design and innovation emerging out of China. Each table is made to order. For information on lead times and pricing, please contact us at 888-878-8626.